Though car insurance is a requirement for all drivers in Canada, it’s important to note that there are differences in coverage requirements between provinces. In Alberta, for instance, auto insurance is provided by private insurance carriers, but the insurance rates themselves are regulated by the Alberta government. Car insurance coverage is also broken down into two categories – mandatory and optional. On the mandatory side, Alberta operates with a car insurance grid rate calculator. This grid rating program sets the maximum premium any insurer can charge for the mandatory coverage which includes third party liability and accident benefits. The lower you are on the grid, the less you pay for car insurance in Alberta. The other mandatory coverage requirements are no-fault insurance and accident benefits. Having only three requirements leaves a lot of room for customization via the numerous optional coverage extensions, such as collision and comprehensive. Having no-fault insurance doesn’t mean you can’t be found at fault. This coverage means you must first deal with your own insurance company for all claims, whether you’re at fault or not. But, Alberta will allow a no-fault driver to sue an at-fault driver for additional damages and costs that are not covered by their accident benefits. Protects against damage caused by you while driving and includes injury and death to others and property damage. This is the only insurance coverage that is mandatory across Canada. Minimum coverage for Alberta is $200,000. The Alberta car insurance industry has seen significant change in the average rates they charge to consumers. Since 2007 there has been a +16.95% increase in average cost of car insurance in Alberta. The increase hasn’t been drastic like Ontario, but rather a steadier increase on a smaller scale. Car insurance rate changes are a result of a few factors such as market inflation, insurance fraud and claims volumes. The auto insurance rates are controlled and set by the provincial government. The Automobile Insurance Rate Board (AIRB) and the Office of the Superintendent of insurance are the two agencies within the government that manage car insurance rates in Alberta. The historical rate changes shown below are based on all the drivers insured each year by every company in Alberta. Gender and age play an important role in determining a driver’s car insurance premium. Men, aged 25 and under, are typically involved in more car accidents than their female counterparts and will therefore pay more in car insurance. Auto insurance companies look at data to better determine their risk and price it accordingly. Other demographic type factors include the amount of time spent driving, driving convictions, and whether you have any driver training. In fact, even being married to someone with an excellent driving history can help reduce your car insurance premiums. Where a driver lives can make a difference. Higher premiums for comprehensive car insurance may exist in neighbourhoods with a larger number of vehicle thefts and or vandalism. Living close to major roads or big intersections with a higher population density raises the risk and therefore the insurance. In fact, some major cities can pay up to 65% more than their rural counterparts based on the amount claims submitted in the area and the high volume of insurance fraud that occurs. The make of your vehicle, its model and the year of production will affect your driver’s insurance premium. In Alberta, there is a classification system to rank vehicles based on their claims history. Before you purchase a car, it’s a great idea to find out how much it will cost to insure. Some quick and easy ones to remember are vehicles with high safety ratings often have lower insurance rates, while expensive cars will generally pay more. If you drive a lot, you will pay more for car insurance. Your commute time will impact your car insurance premium – the shorter the distance, the cheaper the rate and vice versa. If you can reduce the number of kilometres driven, by using public transit, biking, or walking – this is a great way to save on car insurance. In Alberta, there are a few mandatory coverage types, third-party liability, accident benefits, uninsured driver protection, and direct compensation property damage that are included in every driver’s policy. Optional coverages are available and while they will increase your premiums they could save you a lot of money should the need arise. The most common additional coverage options are: comprehensive, collision, transportation replacement, and the removal of vehicle depreciation. There’s lots of ways to save money on your car insurance in Alberta. If you have more than one car insured with the same company, if you bundle it together with your home policy, if your car is equipped with an anti-theft device, if you have winter tires and even if the car is a hybrid model- you can save money. Be sure to speak with your insurance provider for ways to save! How to get cheap car insurance in Alberta? Research which car insurance company provides the best value for you and your vehicle. In Alberta, rates change four times a year, but lucky for you comparing rates with us is free. Some car insurance companies in Alberta hand out loyalty discounts to drivers who remain active on their plans for years. This is especially true if they add family members or multiple vehicles to their policy. If you use the same insurance company for both your home and auto insurance, your insurer will often thank you with a discount on your premium. If you have multiple drivers and vehicles under the same roof, by putting them all on one policy can lead to a reduction in your premiums. This is the portion you pay when settling a claim before your insurance provider will pay the rest. If you’re willing to double down on your deductible, it could save you money. If you’re a member of an Alberta Motor Association (AMA), a large corporation, union, or a member of your school alumni, you could get cheaper car insurance. Paying monthly adds administrative costs to your insurer. If you can help them by paying one lump sum annually, they will thank you by lowering your premiums. Be a safe driver, the insurance companies love it. Obey the rules of the road and drive according to road conditions, they look upon this fondly. If you, through these practices, can reduce your chances of an accident, you will pay less. You can save up to 5% simply by equipping your car with winter tires. Winter driving conditions can be treacherous throughout Alberta. It pays to be safe! There are telematics devices that collect driving data. With user-based insurance (UBI) you can earn your discounts if you’re not driving far or often. These devices even look at advanced stats like how carefully you brake and accelerate. Are you new to driving? A driver’s education course can save you money. Car insurance providers will think of you as a safe driver if you’ve received lessons by professionals. Do I need auto insurance in Alberta? Yes, it’s the law. You are required to have the mandated third-party liability insurance of $200,000 and the accident benefits coverage. It’s important to remember that in Alberta you will always need your own insurance in order to operate legally operate a vehicle. In the summer of 2016, the Superintendent of Insurance of Alberta passed a new ridesharing insurance policy. Uber purchased the new commercial insurance policy putting into effect on July 1st of the same year. Uber offers full coverage on their commercial policies when you are logged in and actively working as one of their ridesharing drivers. We recommend that you contact your car insurance company to inform them of your ridesharing intentions. If you fail to notify your auto insurer you could, you could see some negative results, like cancellation of your policy. Why does car insurance in Alberta cost so much? According to a report by Ontario’s Ministry of Finance, Alberta drivers pay an average of $1179 annually for their car insurance which ranks third in Canada. The volume of claims, fraud, and other convictions within a province impact premium pricing. Do I need winter tires in Alberta? While it’s not required, it’s a great idea to have winter tires for your vehicle. For one, it can save you money on car insurance. Winter tires are also a great safety measure for that legendary Albertan snow - they’re softer and provide a stronger grip on ice and snow. Is roadside assistance required in Alberta? No, but it’s a great for peace of mind in case of a battery failure, tire puncture, or you need a tow. It might also save you money on car insurance. AMA, for instance, starts at $86/year. How do I report a claim in Alberta? How long do driving offences last on my driving record in Alberta? A moving violation in Alberta will stay on your record for 3 years following a conviction. If you are in an at-fault accident, it can stay on your record for a minimum of 6 years. Demerit points will stay on your record for 2 years. 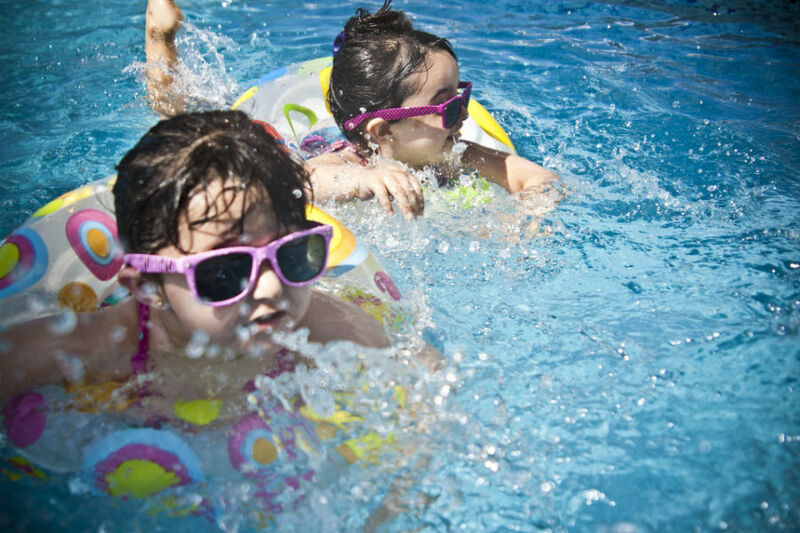 A backyard swimming pool may be a fun way to relax in the summer sun, but it can also be a liability. So before you install a pool on your property, consider how it’ll affect your home insurance. April 12, 2019 Does Temporary Car Insurance Exist in Ontario?